Fair Price for two fair figures. This twin box set of two Autobots VS. is a little silly when you think about it BUT it encompasses in my opinion the BEST figures out of the RID range. Drift: Obviously the same mold as his TAV18 "Grandmothers kitchen" orange and brown counterpart, with a newly sculpted head that gives it the United UN08 Drift look. Something about its new colour and head sculpt raises what was in my opinion a well executed but ugly looking figure, to something every samurai/Japanese robot loving fan should have. 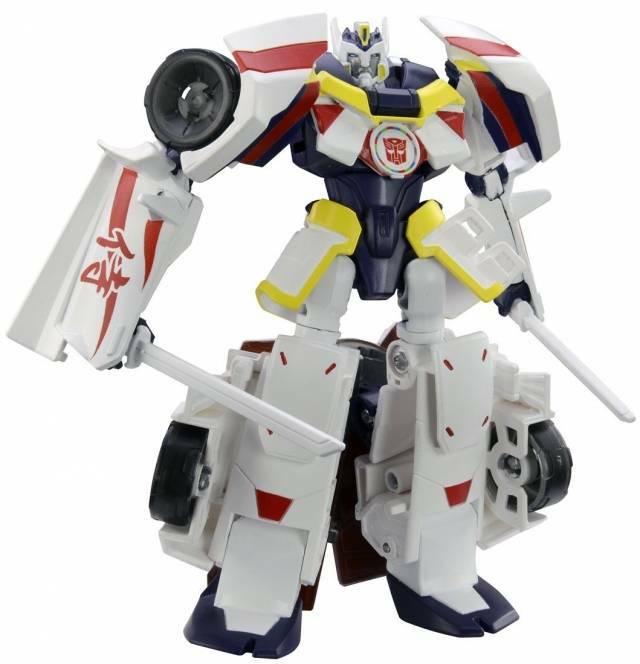 Frankly, the TAV18 doesn't do the design of Drift in the series justice, this figure however pays homage to both cartoon and comic counterparts VERY WELL. However the head is so stiff that I'm sometimes concerned I may snap off a helmet antenna. on the plus side, his swords are storable under the car in altmode. 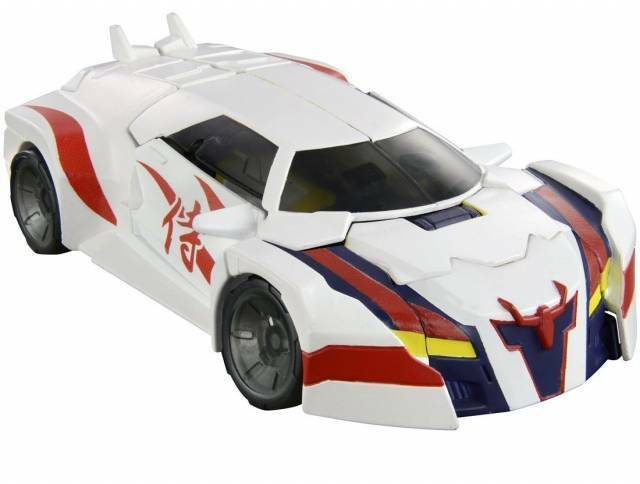 Pose ability is adequate for RID range figures, but whereas United Drift feels almost like a collector's item ((you know what I mean) like many masterpiece figures do)) this Drift has a definite "TOY" feeling about it. The plastic and paint coating quality is much better than its standard counterpart but hollow parts and clip on wheels give it that almost oversized legends feel that most RID series figures have suffered under. if you want to invest in some RID figures, there are only three you should be buying anyway, Drift, Jazz and TAV36 Fracture. Jazz: The Design team knew what they were doing when they designed Jazz. He is essentially a "bare bones deconstruction" of Prime ranges Bumblebee figure. 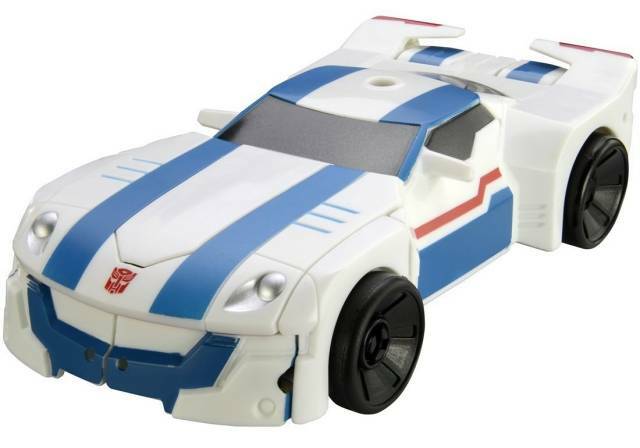 As if someone decided they wanted to make a solid figure, but simplify it so it would fit the feel of the RID range. Besides the aforementioned problems all RID figures have of clip on wheels and obviously hollow parts, Jazz only has two "negative" things about him. 1) He has a "murder death kill" sword, lance, stick that doesn't know what it is itself and doesn't store well in alt mode. 2) He is a little top heavy but well designed feet make up for this. Other than that, you are getting a solid, well designed figure but above all other versions of this character and mold THIS one doesn't feel like the designers were light on paint details. This version of Jazz has painted lights, more blue here and there, and other occasional details around the face and body that make the figure shine. You don't look at it and feel like something's missing. 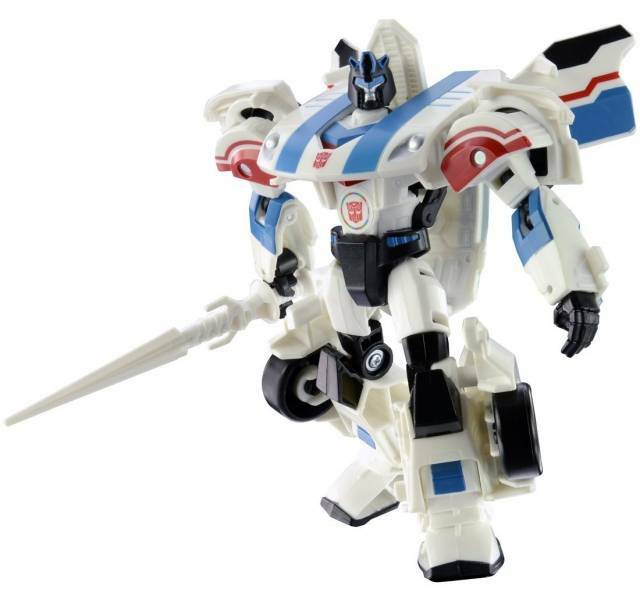 Articulation is as good as Drifts except Jazz does not have movement at the waist. All said and done, you are paying a fair price for to fairly good figures and the best of what RID has to offer at this time.